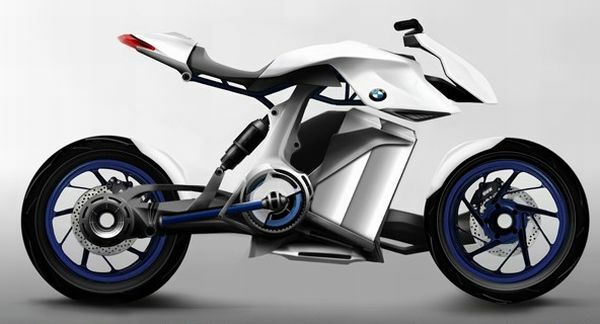 The “BMW HP Kunst” is an hydrogen motorbike concept which represents the ecological vision of the future motorbikes. It really acts as a technological showcase with all the apparent hydrogen technologies. This is an exclusive model which is positioned in the HP range of BMW Motorrad, it combines the player temperament of the supermotard and the sportivity of a roadster. In terms of style, the whole spirit of BMW Motorrad is transcribed with dynamic and sculpted lines, an apparent technicality and a work of asymmetry on the entire motorbike. Technic: Aluminium frame, tubular parts in steel and carbon parts; Brushless engine 100kw; Fuel cell; Cryogenic hydrogen tank (capacity 20L); Battery Li-Po; Electronical brakes and controls; Electromagnetic suspensions.